6th International Congress on Engineering, Environment and Materials in Process Industry will be taking place at the Jahorina mountain, East of Sarajevo. 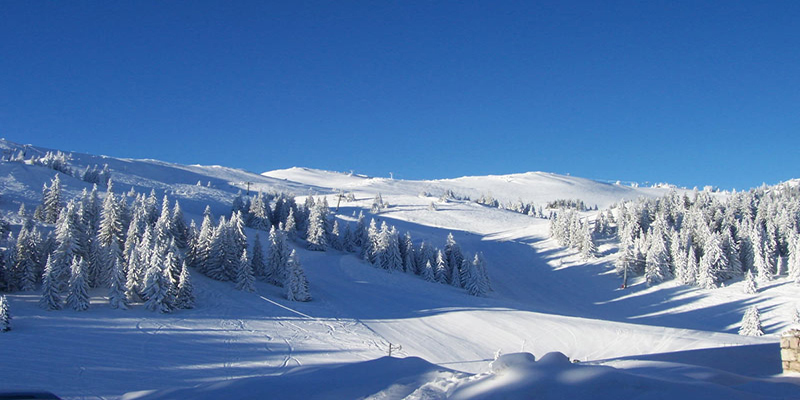 Jahorina is a mountain in Bosnia and Herzegovina, located near Pale in the Dinaric Alps. It borders Mount Trebević, another Olympic mountain. Jahorina’s highest peak, Ogorjelica, has a summit elevation of 1,916 metres (6,286 ft), making it the second-highest of Sarajevo’s mountains, after Bjelašnica at 2,067 m (6,781 ft). Mount Jahorina hosted the women’s alpine skiing events of the 1984 Winter Olympics. Jahorina is located 15 km (9.3 mi) from Pale and 30 km (19 mi) from Sarajevo. The international airport in Sarajevo is located 33 km (21 mi) from Jahorina, connected with the ski resort by a new motorway. Jahorina Olympic Ski Resort is the biggest and most popular ski resort in Bosnia and Herzegovina and offers a variety of outdoor sports and activities. It is primarily a destination for alpine skiing, snowboarding, hiking, and sledding, with over 40 km (25 mi) of ski slopes and modern facilities. The average snow depth on ski runs during March is 106 cm (42 in) (ten-year average). The Jahorina ski lift system was upgraded in 2012 and 2013 with new Leitner chairlifts. Together with a gondola lift (under construction), Jahorina has one of the most modern lift systems in the region.